This route starts near the hill of Pico dos Loiros in the village of Agualva. 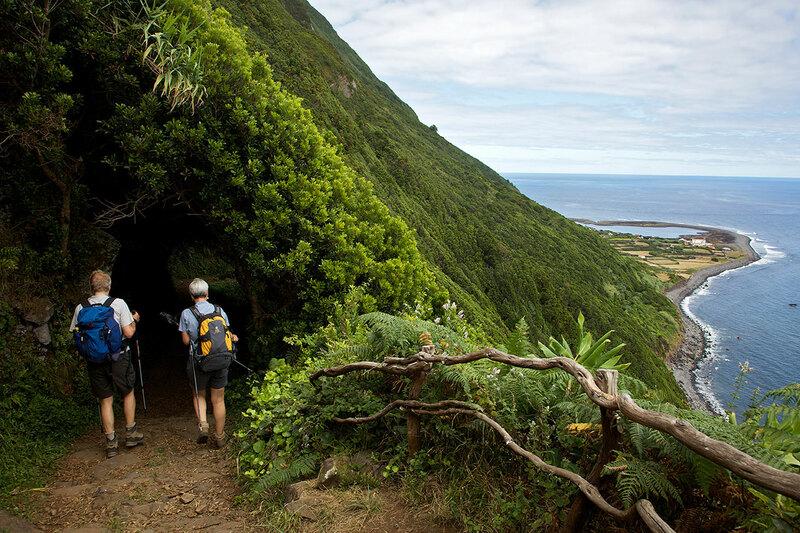 Start by going down a dirt trail through and after 500m you will reach the stream of Grota da Lagoa. Then turn left and head towards Fajãzinha. Skirt this village on the left until you reach a pebble beach. Then turn left and climb up a slope which is surrounded in coastal woodland and species such as Azores heather (Erica azorica) and fescue (Festuca petrae) until you reach the viewpoint over Fajãzinha. 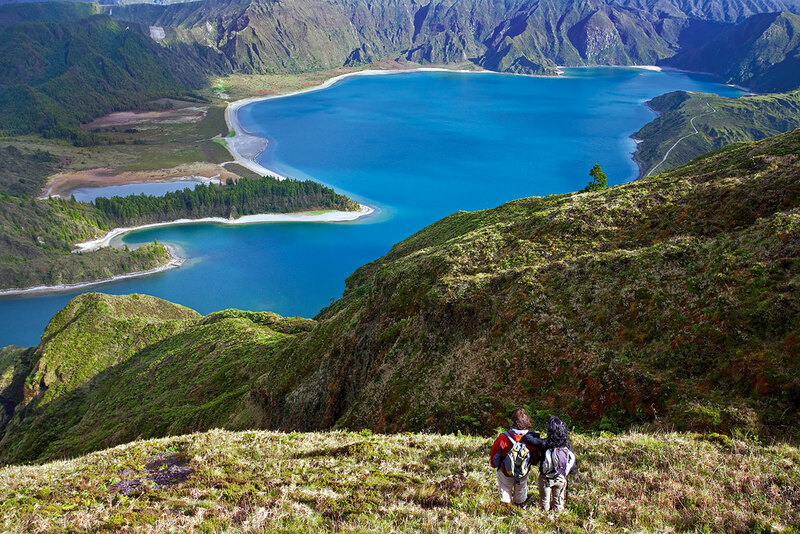 After 500m you will find a path to the right which leads to a bay, where you can see columnar basalt formations. Go back and climb the asphalt road. Turn right at a sharp bend and take the shortcut through the old vineyards and a stretch of coastal woodland, to the Baía das Pombas [Bay of Pigeons]. This area is ideal for bird watching where it is possible to spot species which breed in the Azores including the common tern (Sterna hirundo), the Cory’s shearwater (Calonectris diomedea borealis) and the Azores wood pigeon (Columba palumbus azorica). 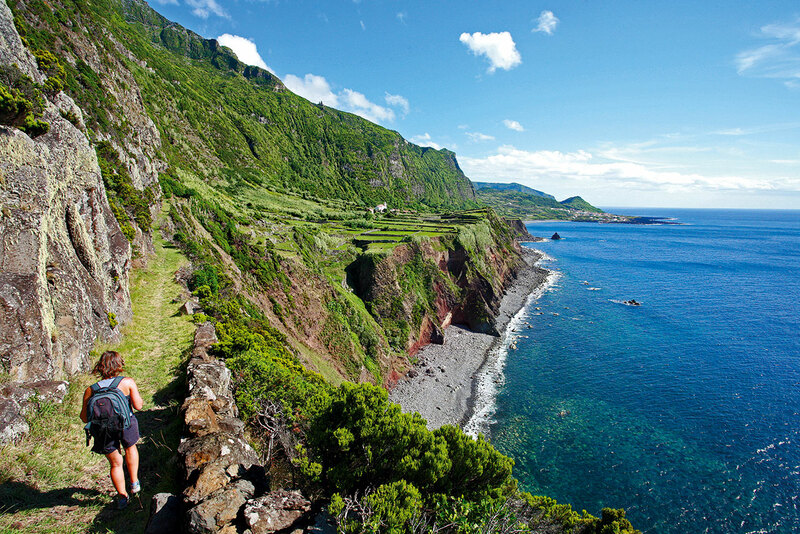 Then go up a slope lined with Azores heathers, then turn right to Ponta do Mistério, where you will find a small coastal lagoon in the rocks. The final part of this route takes continues between pasture land and cliffs amid fire trees (Morella faya), Azores heathers and Australian cheesewood (Pittosporum undulatum) to a dirt trail. Here, turn left and continue on the trail towards the regional road, where this route ends.